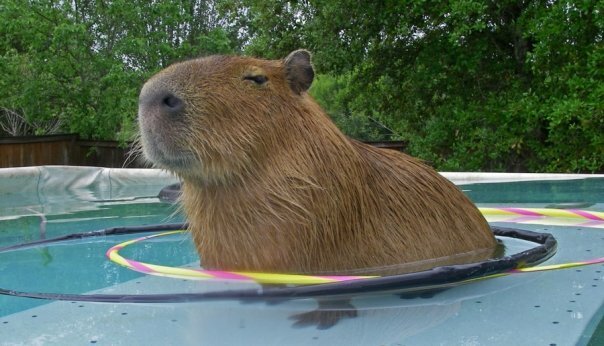 Do you see a capybara? 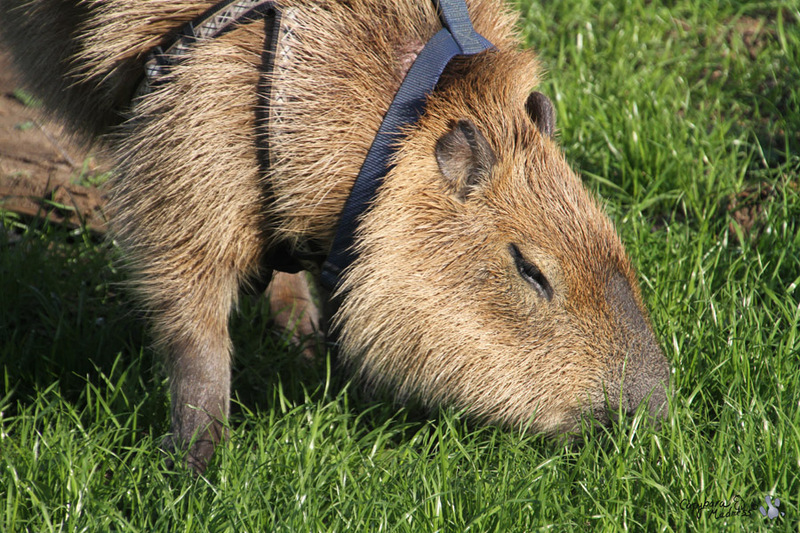 Do you see a capybara in the photo above? I’ll be you don’t but I am in it nonetheless. 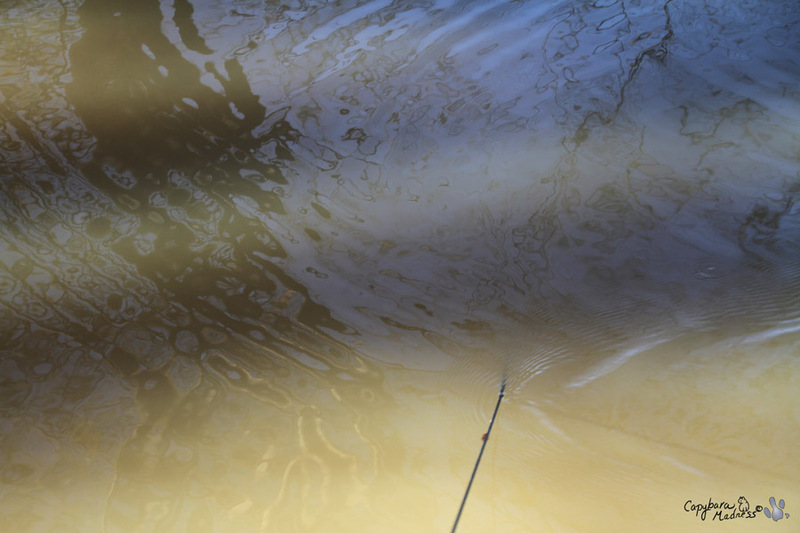 That black line is my new long leash and if you could follow it through this wonderfully opaque water you would find me! Ha! There I am, just as cute as ever. 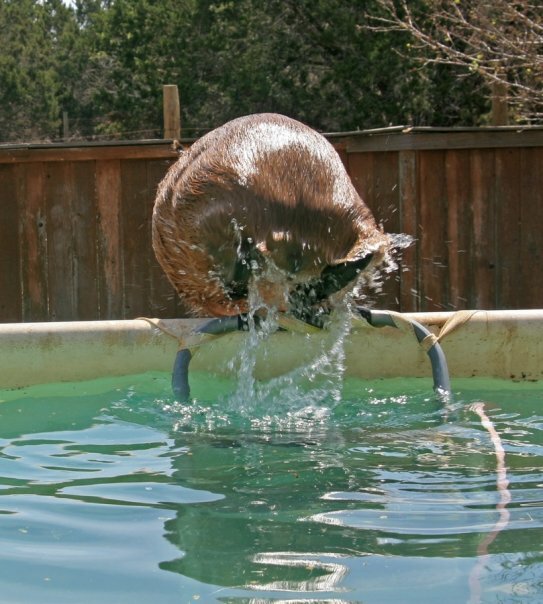 Look how wonderfully my fur blends with the color of the water. Before yesterday, I didn’t know that water came in this color. I thought it only came in clear or green. I guess I should have known better because my pool does sometimes take on a brown cast after I have been rolling in the mud but I never dreamed it could be like this! Well, that isn’t my pool in case you were wondering. 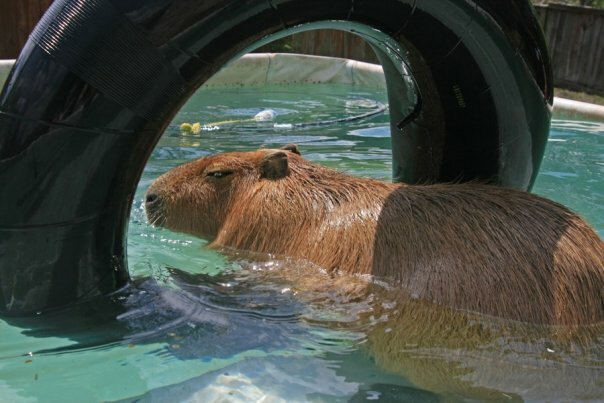 It is Capybara Creek. That is the creek that I have been rolling in the mud in this whole past year. 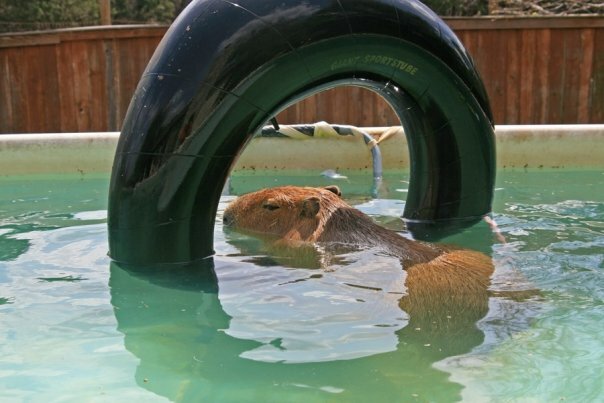 This is how much water Capybara Creek had in it last week, just enough for a bit of a mud roll. Amazingly, it now has actual water in it! You may be wondering how that happened. It is a thing called “rain.” Oh, I know I’ve talked of rain before but this was different. 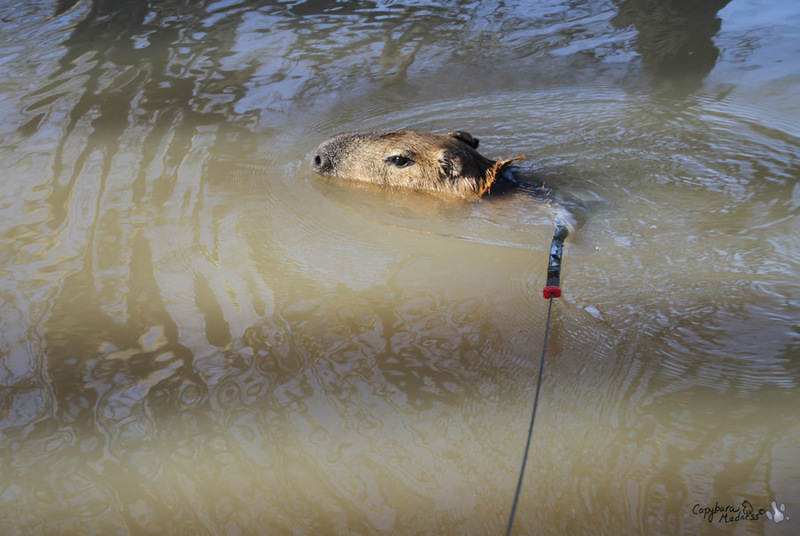 This was real rain like someone turned the hose on up in the sky and all the water poured into our creek making me the world’s happiest capybara. New or not, I was not happy with that leash. Do you have any idea how hard it is to roll with two harnesses AND a leash on? I won’t say it takes all the fun out of it but I bet it would be a lot more fun skinny-dipping, if you know what I mean. If you want to see just how much trouble that leash was, all you have to do is watch the video above. 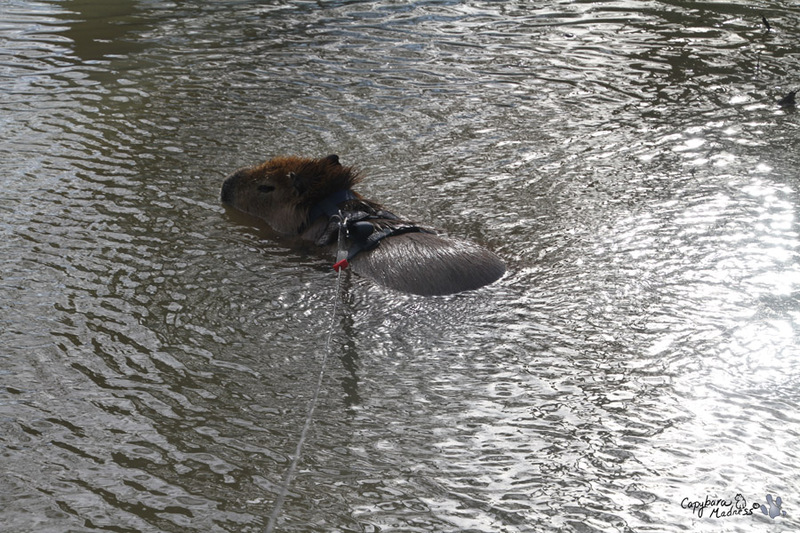 Melly says that when she is sure I will be a good capybara she will let me swim without the leash. I fear that that day will never come. 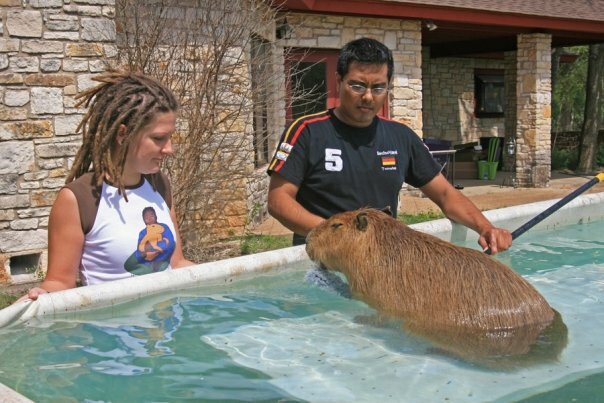 I do not understand Melly’s idea of a good capybara, it seems completely opposite of everything that I am or that I want to become. We will see. 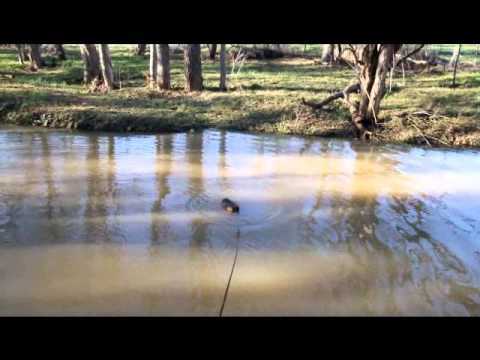 One thing I do not like about the leash is that Melly can use it to pull me out of the water. Just because the sun is going down that is no reason to stop swimming. 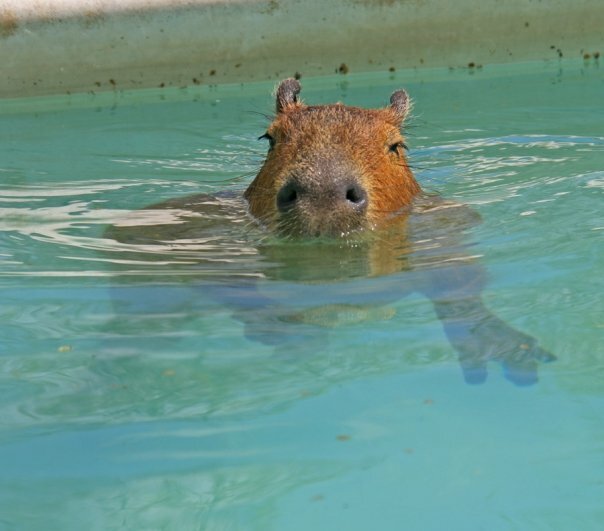 Wild capybaras swim at night plenty of times (I imagine, I don’t actually know because I have never been a wild capybara). After dragging me out of the creek, Melly and Rick took me to the back pasture where (she says) she has planted some grass especially for me. I was a bit hungry after my swim and the last rays of the sun dried and warmed my fur, which was nice. I hope the creek stays full forever. 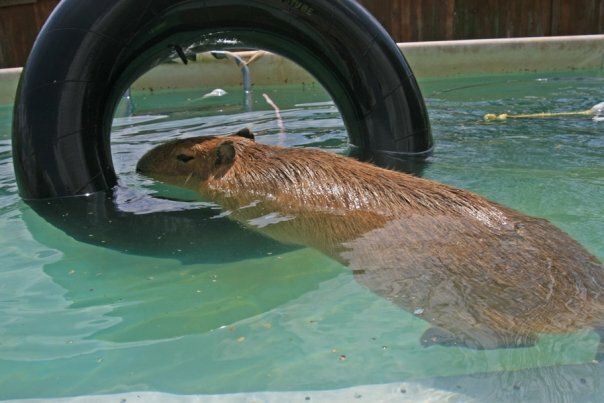 I do not know what I will do if all the water goes away. 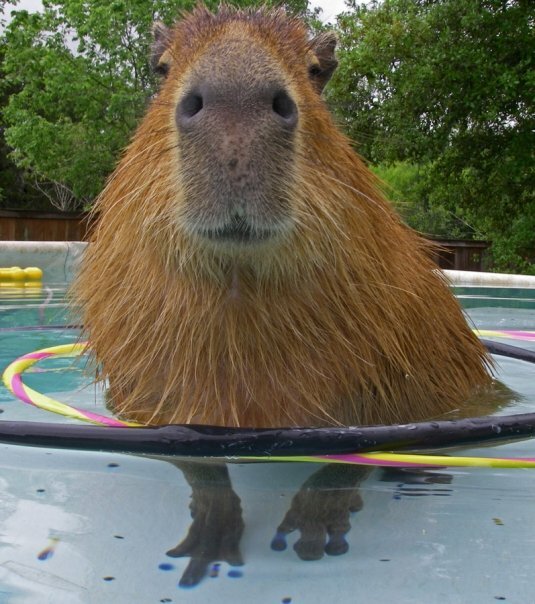 Capybaras can’t cry. 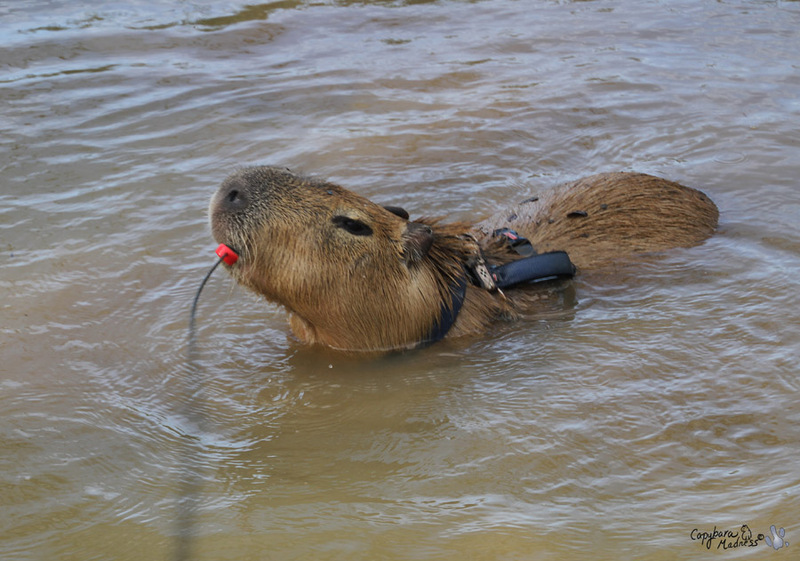 You are one lucky Capybara, leash or not! Melly has your safety in mind! 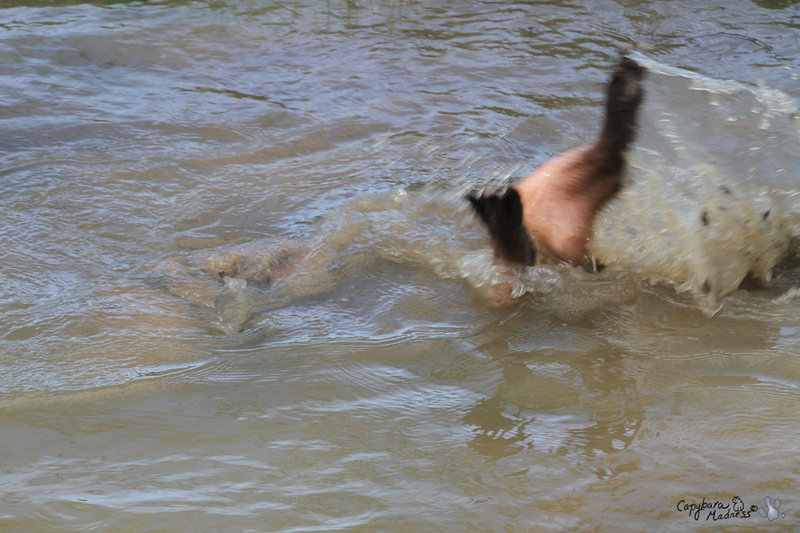 If capybaras are capable of expressing sheer delight (and I feel almost positive they ARE) then we have just been treated to one of those times when dear Gari was, indeed, having the time of his life! Thank you sooooo much for sharing it with us, his devoted fans. Wow, Gari, that’s really cool! My little creek is really lame- absolutely no swimming potential. Did you try biting that leash? It looks pretty flimsy to me. I usually get an email but didn’t this time, glad I saw it on FB feed! I’d really like to know where you would go w/out the leash & would you return to your comfy home??? 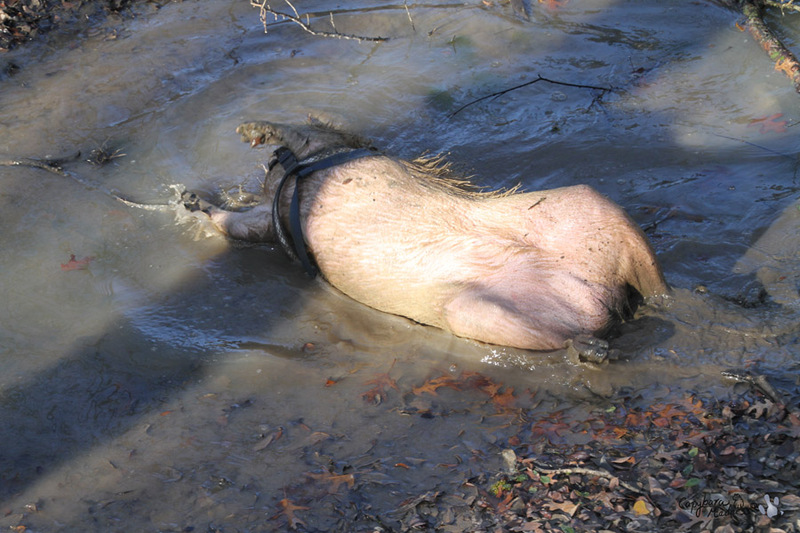 You are soooo lucky to have that muddy creek and your very own pond to luxuriate in for your deluxe mud spa treatment. And a swimming pool as well.